Sometimes dealing with the challenges and changes in our lives can be overwhelming. There are times when one can feel isolated and alone. Natchitoches Regional Medical Center is committed to providing a compassionate and safe environment to deal with behavioral health issues. Insights is a 15-bed inpatient psychiatric facility located in Natchitoches Regional Medical Center. 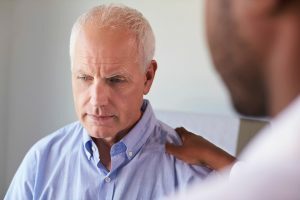 We provide specialized mental health services to individuals ages 45 and above who are experiencing acute psychiatric symptoms, which include, but are not limited to, changes in mood, behavior and thoughts, and cognitive disorders. Physicians, healthcare professionals, nursing care centers, hospitals, friends and family members may refer an individual to our programs 24 hours a day. This facility does not discriminate on the basis of race, color, national origin or disability. Along with our highly qualified psychiatry team, Insights also addresses medical issues under the guidance of consulting medical physicians. Insights provides confidential pre-admission screenings and transportation to and from the unit. Medicare, Medicaid/Magellan and most major health plans cover services for qualified patients. Insights provides confidential pre-admission screenings and transportation to and from the unit. For more information, please call (318) 214-4380.